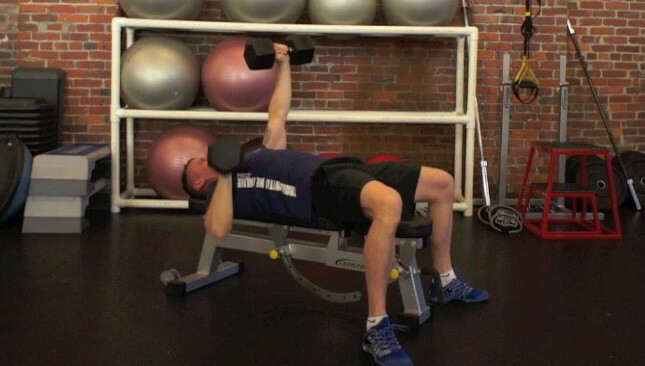 Strengthening the chest muscles will help you push things easily and effortlessly. The muscles in your chest help stabilize your shoulder joint, which reduces your vulnerability shoulder joint injuries. Working your chest muscles also has an aesthetic factor (body contouring). 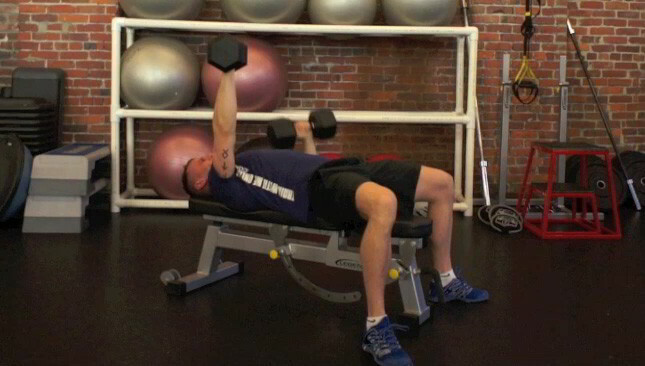 Start on your back with your feet up and your lower back pressed firmly against the bench. 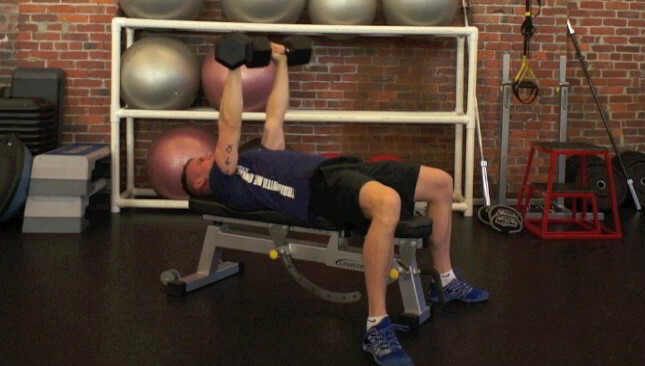 Hold both dumbbells directly above your chest. 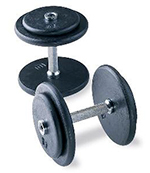 Alternate between each dumbbell, pressing one and holding the other in its starting position.